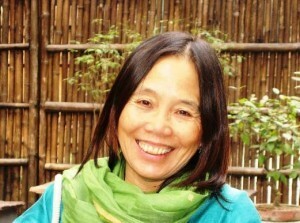 Saki Lee is the heart behind Lightsong – Inayatiyya. For over 30 years she was a student of Pir Vilayat Inayat Khan, Sufi mystic and master of meditation who wove the essence of Sufism into the unfolding expressions of contemporary culture and consciousness. Saki guides individual and group retreats internationally, focusing primarily on the alchemical retreat model first developed by Pir Vilayat, which fosters deep healing and spiritual transformation. Saki’s love of sacred music, mystical poetry and the Dances of Universal Peace* are woven in her groups to uplift, harmonize and tune the heart and spirit, making it easy for everyone to feel at home with themselves and each other. Saki brings warmth, depth, and joy to her work as Sufi guide, teacher and friend to newcomers and experienced spiritual seekers alike. She has been a faculty member of Suluk Academy, a school of Sufi studies founded by Pir Zia Inayat Khan, and is a cheraga (minister) in the Universal Worship, an ecumenical service which honors all faith traditions as equal sources of spirituality.